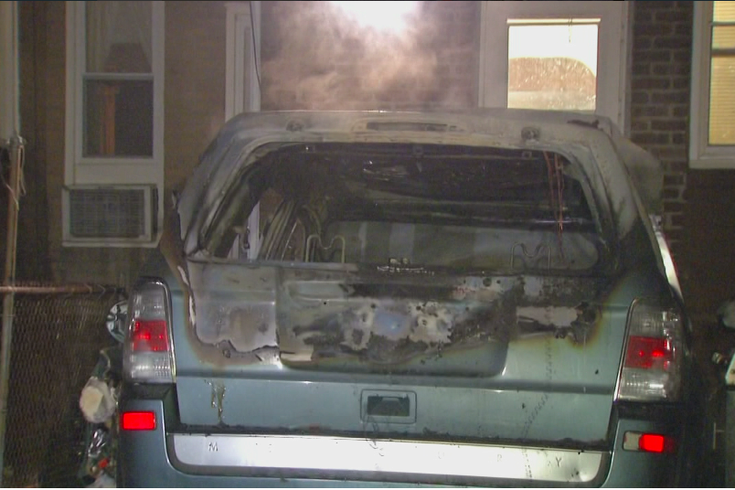 Fire officials are investigating some suspicious car fires in Tacony early Friday morning. Philadelphia fire officials are investigating a few suspicious car fires that happened in the early hours Friday morning within a few blocks of each other in Tacony, 6abc Action News reports. Police responded to the first fire at Torresdale Avenue and Robbins Street around 2 a.m. Officials say the owner of the parked car does not live in the neighborhood. The windows were blown out from the blaze, causing major damage to the vehicle. No injuries were reported. Shortly after, a second call came in reporting a car on fire on the 6300 block of Ditman Street. Firefighters say an SUV was found with damage similar to that of the first car. The car fire also caused minor damage to the nearby home. Neighbors alerted the family to evacuate. CBSPhilly reports that there was a second vehicle on fire at the Ditman Street location. The fire marshal was called to investigate the blazes.